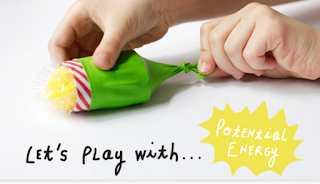 This week's challenge is to make a balloon poppers! Like catapaults or kickers they push objects along a path. Does changing the size of the balloon help? What about the changing the diameter of the tube? Here is a link to a great 'how to ' article!